Any type of excavation work presents challenges and hazards. 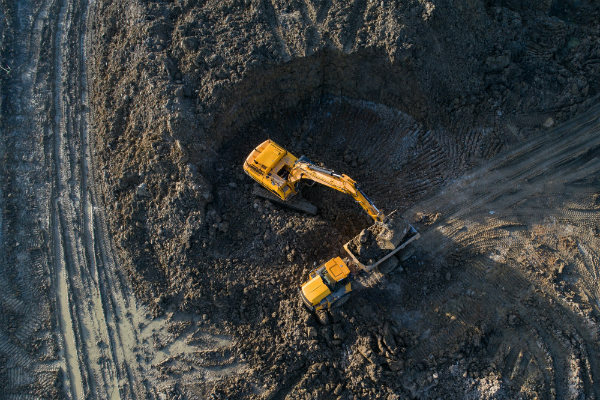 All excavation businesses have an obligation to protect their employees, the environment and the general public and must take steps to minimise risk. Identifying hazards and controlling them is key to setting up and maintaining a safe worksite. These steps are essential to the process of work safety. Using electronic detection to check for underground services (electricity, gas and water) if there aren’t any recent drawings. Choosing the right excavation equipment for the job (as well as trailers, trucks or carriers) will help ensure the area is secure. Assessing potential environmental risks (potential contamination of nearby waterways and accumulation of rubbish for example). Checking training and qualifications. Operators should be properly trained and have relevant qualifications for the equipment they are in control of. Read more about excavation safety compliance including personal protective equipment and risk control measures once work is underway. GHR Civil is your local Shoalhaven excavation specialist. Our services include all aspects of earthmoving and land clearing. With experience in rural, residential and commercial excavation work, our contractors can handle any size job. Worker safety and hazard reduction is always our top priority and we work hard to ensure a safe worksite for all. Talk to GHR Civil – the land clearing experts in the Shoalhaven – about your next job.